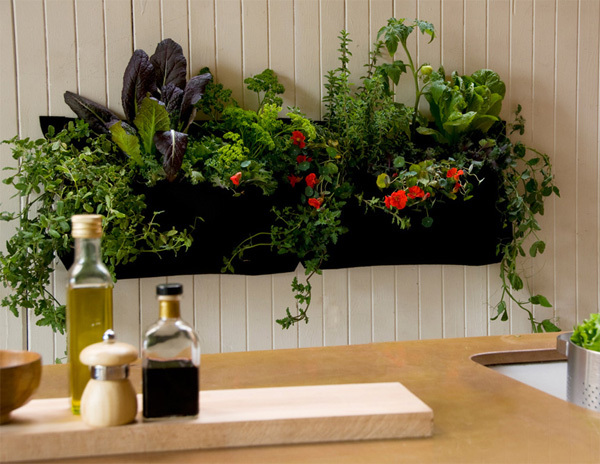 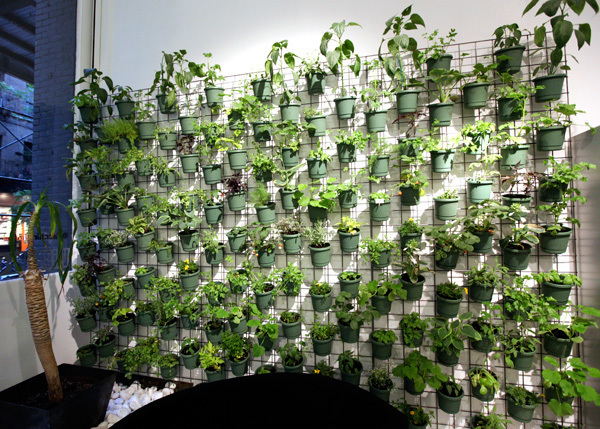 Vertical gardens have become more and more popular in recent years, and so many creative variations have popped up! 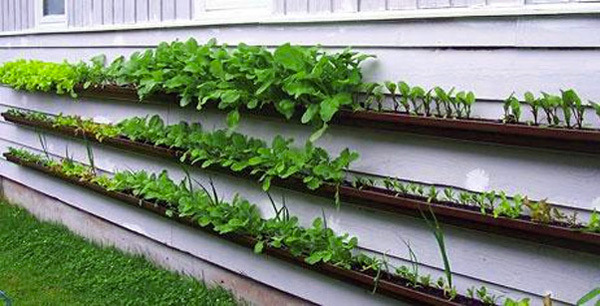 Here’s a look at a few i’v been considering while researching doing one myself! 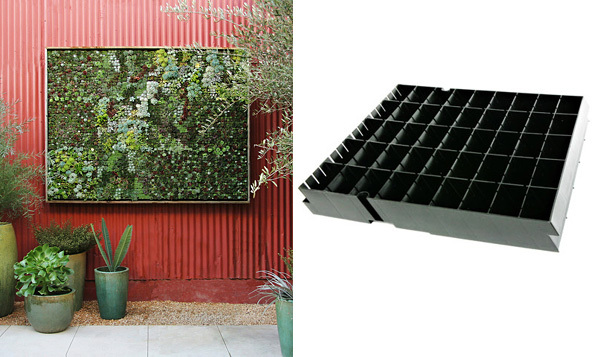 For more traditional vertical wall installations - you either use felt or packed dirt covered with cloth… where basically you make slits and push the plants in, combined with drip irrigation… check out this video! 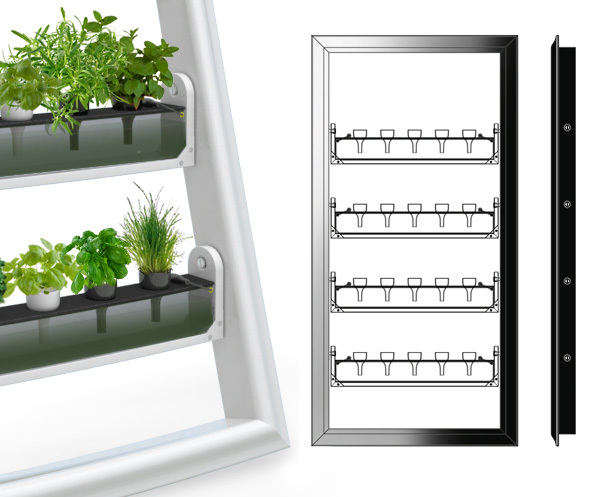 So in an attempt to figure out the perfect vertical garden… i loved the idea of herbs/edible… and the idea of going modular… and hydrogardening looked gorgeously clean too… why not create a new design to play with all of these? 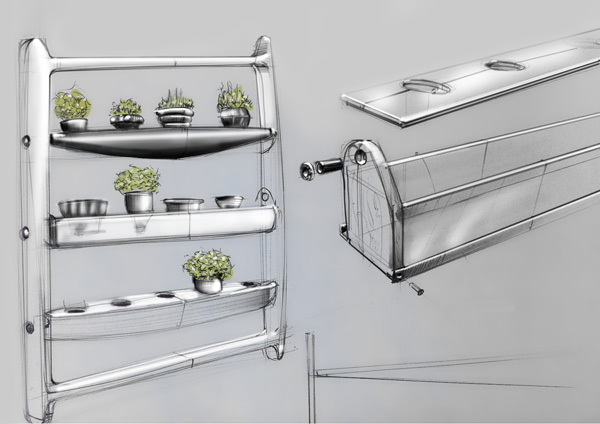 Working with Leo Corrales, he came up with these sketches and renders exploring the idea further! 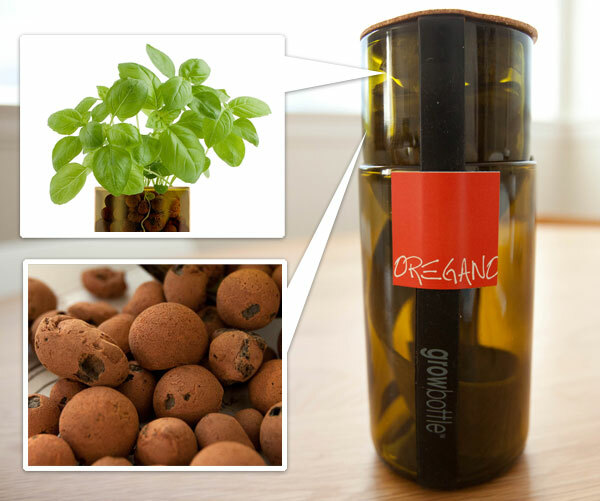 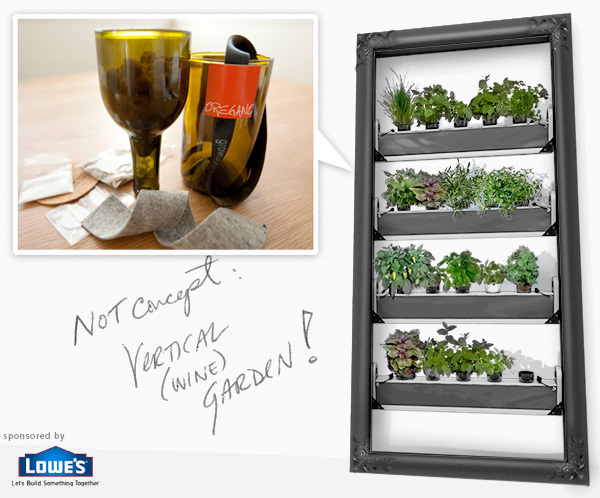 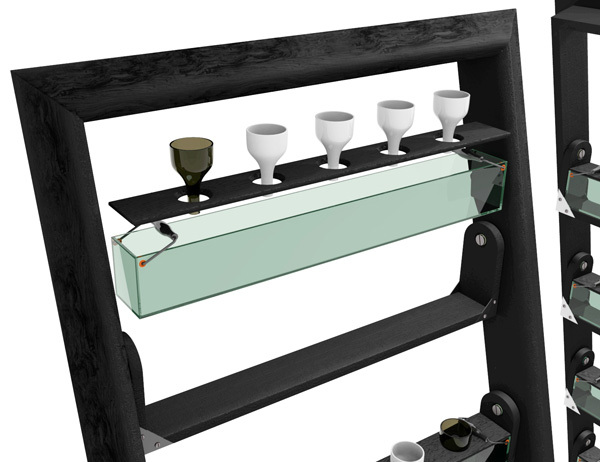 Imagine fun leaning frames holding recycled wine bottles, all of which can have easy-to-water reservoirs they can pull water from… and you can easily swap the wine bottles of herbs around… into your kitchen, etc! 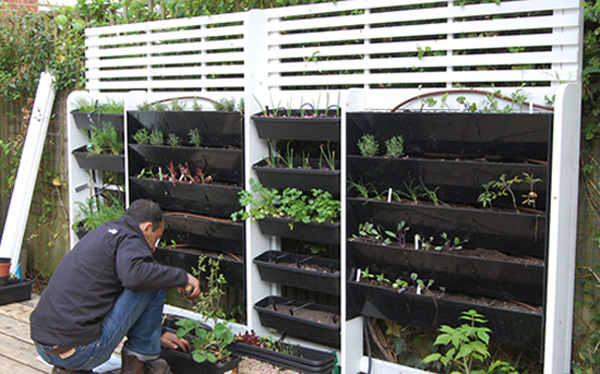 Perhaps you can have different types of boxes slip in even… like traditional ones filled with dirt… and you can mix and match hydro and normal gardening boxes! 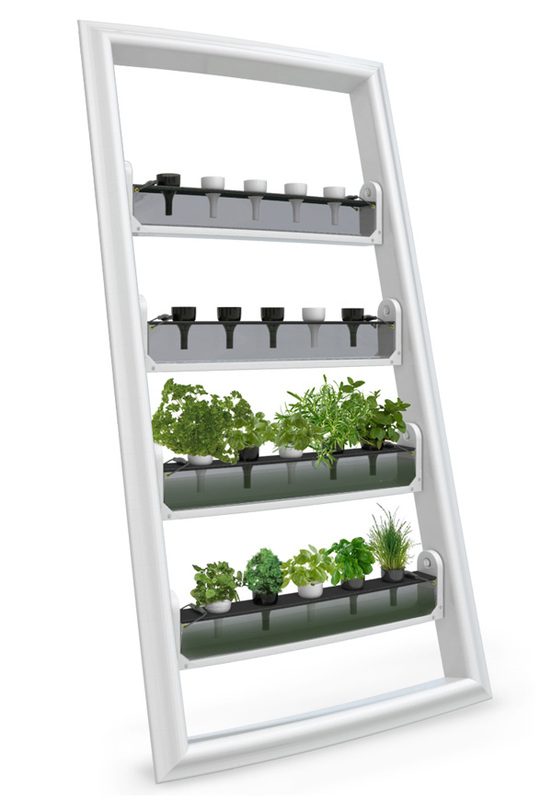 We wanted to keep the concept pretty simple and potentially DIY-able, yet still beautifully modern/fun!